This guy! Where does he get off?? Democrat Socialist Senator Bernie Sanders (VT) champions wealth redistribution. Now, the 2020 presidential candidate is openly admitting that he’s a millionaire. Isn’t this like spitting in the faces of his fans? A.) Yes. B.) Definitely yes. C.) Without question, yes? 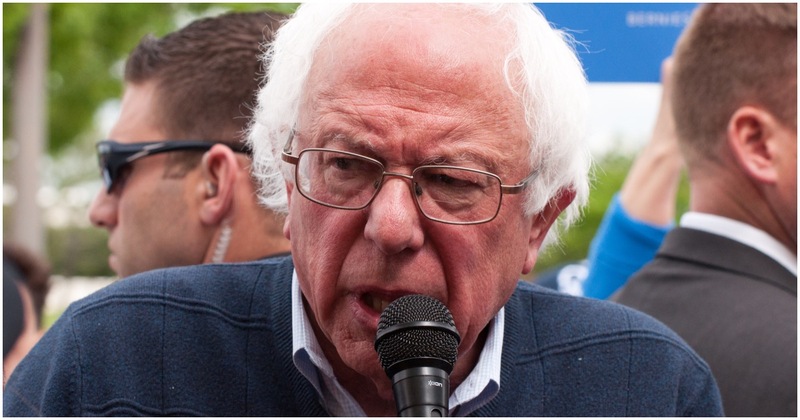 Sanders declared his soon-to-be released tax returns would be “boring” and didn’t deny his millionaire status in an interview with the New York Times. Come on, Bernie. Share some of that money with the rest of us and pay more taxes! There are few people currently on planet earth who are as despicable as Venezuelan tyrant Nicolas Maduro. Due to socialism, people of his country are forced to search for meals from the back of garbage trucks. They even look for water in sewer drains. That, apparently, did not matter to Bernie and his 2020 presidential team. Click that link above to read about it. You couldn’t make that up if you tried. Will Democrats care enough to hold Bernie and company accountable? That was rhetorical. Think about that for a second. How uninformed can a person be? Hundreds of protesters descended on D.C. at Lafayette Square near the White House on Saturday to show their support for Venezuela’s embattled socialist dictator Nicolas Maduro. The “Hands Off Venezuela” protesters are not only against any sort of intervention in Venezuela, but many actually believe Maduro is a good leader.